I wanted to sew a quilt for a housewarming gift for a friend and I had this idea that I wanted it to be mountains. 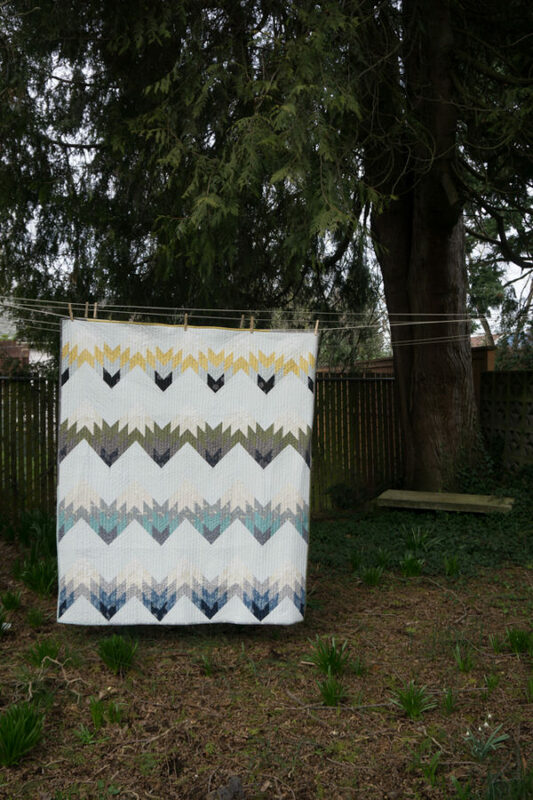 I used the Moda Bakeshop Sunnyside Diamond Zig Zag Quilt pattern and arranged my colors from light to dark so each chevron looked like a mountain peak. Spring has come to Portland! About halfway through making this quilt I bought myself a 45 quilting ruler from Fabric Depot. I wish I had one when I started! It would have made everything faster and more accurate. Definitely recommend! 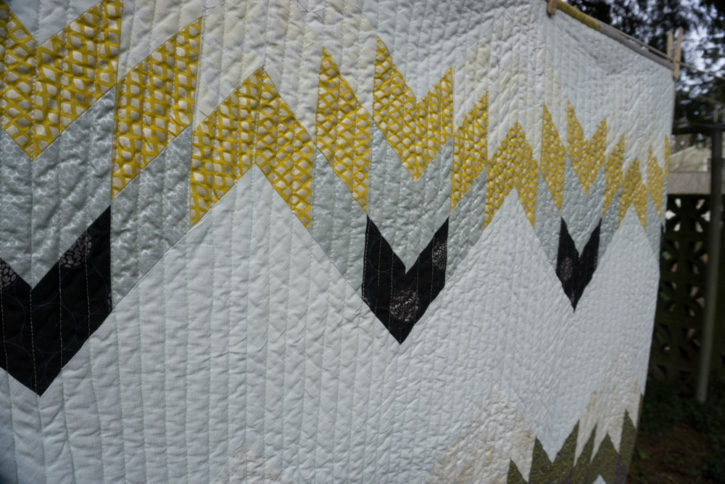 The chevrons are all Jennifer Sampou’s Shimmer2 collection. This pattern requires 3 strips of the same pattern for each strip set so I had to use 2 jelly rolls, but that just means I’m going to make another one for myself. The background is Kaufman Quilters Linen in Platinum. I like the subtle texture and color over using a plain white. 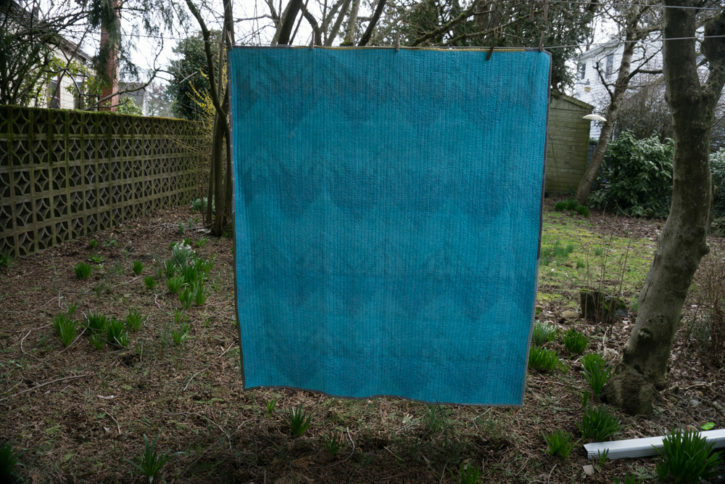 Since this is a nap quilt I used flannel for the background. I didn’t want to have to piece it so I used the 60″ wide Essentials Criss Cross flannel. I made a scrappy binding with the leftover jelly roll strips. The batting is Tuscany Wool from Hobbs Batting. When I make the one for myself I’m going to change the pattern a bit. I will fill in the bottom part of each chevron with a triangle of dark fabric so the mountain forms a whole triangle instead of a chevron. I may need to see what fat quarters of Shimmer 2 I can track down for this!